Today, you will explore one of the most finest and beautiful temple among the Egyptian temples, the temple of the goddess Hathor at Dendera. 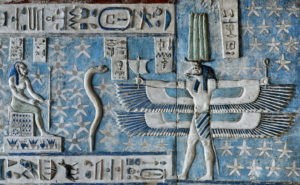 Dendera or Tentyra was the capital of 16th Nome of upper Egypt. The temple is dedicated to the goddess Hathor. Hathor (The Cow) was identified by the Greeks as Hera or Aphrodite. She was the goddess of love, dance and music. Before you reach the temple, there are two structures in precinct of the temple, the Mamisi or “the birth house” and the Roman Basilica. 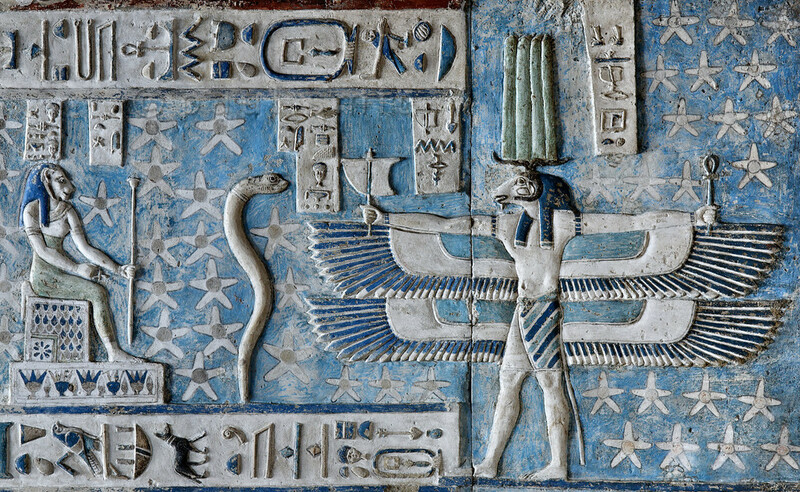 The temple of Hathor was built in the time of the Greeks. It is in very good condition with amazing astronomical scenes on the ceiling. There are 24 Hathoric columns bear the roof of the 1st hypostyle hall. Lets explore this magnificent temple with is very beautiful scenes on its ceiling, such as the representation of the goddess Nut. One of the very well known things of this temple is the representation of the Egyptian zodiacs on the top of the temple. You will admire the good carvings in the crypt at the rear part of the temple behind the sanctuary. Queen Cleopatra VII appears on the back exterior wall making offering to the goddess. A small temple is dedicated to Isis is in the back of Hathor’s temple. A pool with a Nileometre is to the right of the temple.